It sometimes seems like school administrators are competing to show the most unhinged and ridiculous applications of a “zero tolerance” rule. The school officials at Bayside Middle School may have finally won this dubious competition with the charges against sixth grader Adrionna Harris. Harris did what most people would consider a commendable if not heroic act. She stopped a fellow student who was cutting himself with a razor and then threw the razor away. She told administrators what happened and those administrators proceeded to suspend her and recommend expulsion. What is really amazingly is the the razor (thrown in the trash) was never found so it was Adrionna’s word alone that was used to substantiate the charge. 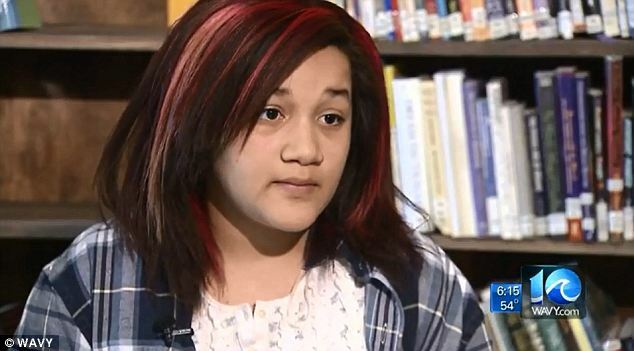 So she was disciplined for not only grabbing the razor but telling the truth to school officials — quite a lesson for other students. (Presumably, if Harris was viewed as bringing a weapon to school or involved in a student cutting incident, there would have been either additional disciplinary charges or a police charge). The school simply maintains that she had possession of a razor and did not report it. However, school officials have reportedly refused to respond to the parents or the media. 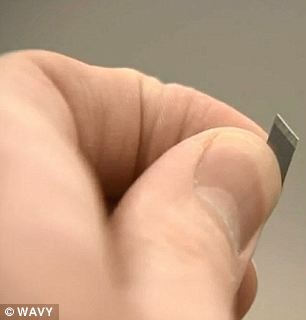 The razor (as shown here) is quite small. There is a growing problem with students who cut themselves. Ironically, the most effective intervention is probably from another student. Adrionna was allowed back into school. However, the question is why all those responsible for this charge are not themselves disciplined or fired. We have previously followed the suspensions and discipline of students under zero tolerance policies that are used by teachers to justify zero judgment or responsibility. I have long criticized zero tolerance policies that have led to suspensions and arrests of children (here, here and here and here and here). Here is a prior column on the subject (and here).Children have been suspended or expelled for drawing stick figures or wearing military hats or bringing Legos shaped like guns or even having Danish in the shape of a gun. Despite the public outcry over the completely irrational and abusive application of zero tolerance rules, administrators and teachers continue to apply them blindly. If you do not have to exercise judgment, you can never been blamed for any failure. Conversely, even when the public outcry results in a reversals, teachers and administrators never seem punished with the same vigor for showing no judgment or logic in punishing a child. In this case, school administrators have not only failed to properly reward a student for an admirable act but abused the student in a robotic, senseless application of this policy. It is unnerving to leave a child in the care of such people who act in arbitrary and capricious ways to the detriment of students. This decision had to be made with the knowledge and approval of multiple district officials. If the public accounts of this case are correct (and there has been no denial from the district), this action for both moronic and abusive. Yet, it is unlikely that anyone will be punished for the action. The lack of punishment will reaffirm that view that it is safer to brutalize students rather than use any discretion or judgment as an adult. 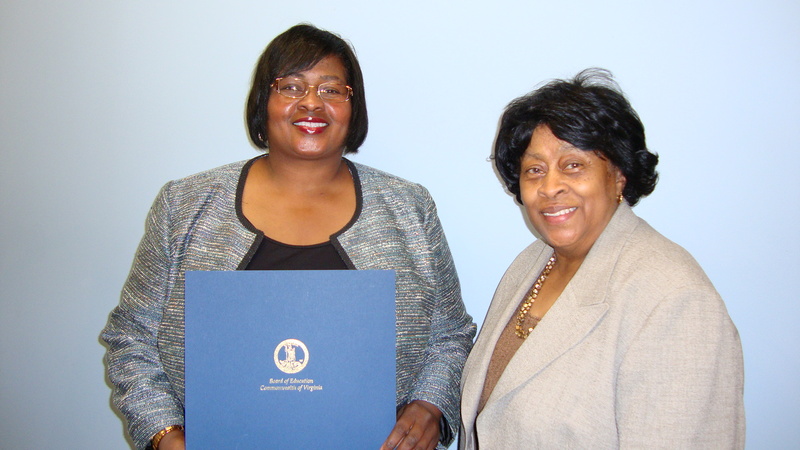 Principle Dr. Paula Johnson was just honored in 2013 as 2013 Outstanding Secondary School Assistant Principal of the Year. Johnson told the family that the school would not force the full suspension, which was a relief. However, there remains the original senseless act directed against this student. No word in the linked article whether or not the self-mutilating child is getting any help. I hope it is an oversight on the part of the journalist to not include this information. It makes it appear as though the administration cares more about punishing students than helping them. Prairie Rose – noticed that myself. Under most most school policies, the cutter would have gotten help. I suppose the whole emphasis was to expel the child who threw the sharpened object away. I have heard they have let her back in school and cleared her record, but I don’t know that for sure. Bottom line is In the “no tolerance” policy in the wording it clearly states that the principal “MAY” decide to suspend a student. Not the word”MUST”. The doctorate that Dr.Johnson spent all those years , who needs to go back and pick up a dictionary, to see the difference,studying for isn’t worth the paper the degree was printed on, if there is no COMMON SENSE applied to the job bestowed on her to do the right thing and instill in The children under her care, to look out for each other , and do the right thing. And to think we all pay their salaries ,and look to them to do the right thing. I APPLAUD THE HOME SCHOOLED ho are able to avoid all this . Seems our kids aren’t safe physically or emotionallly, when out of our sight. And this is called “getting an education. In addition to the stupidity of rigidly adhering to zero tolerance policy, a student is suspended for 10 days, expulsion is being considered and the parent isn’t notified? No teacher or principal conference with the parent? And then ignore the parent’s calls? Time to clean house. veronica that is exactly what the objective ” do what you are told to do and nothing else”…. that is exactly what the core curriculum is about along with the charter schools and the zero tolerance policies. and for those who will refuse to do it they will be sent to re-education camps to be trained in it..
Why so rude and obnoxious? If you are confused or disagree, why not ask a simple question of clarification or a simple HUMANE and DIGNIFIED rebuttal. Notwithstanding, here’s the rational for my statement. Isn’t it true the Prof. Turley stood in front of Congress and stated that he STRONGLY believed in the Progressive movement (Pres. Obama), just not in the form of its implemention (i.e. executive orders instead of a Progressive controlled Congress steamrolling the Progressive agenda). Now, the Progressive agenda is all about positivist rights, large bureaucracies, State policing victimless morals (and enforcing them brutally), and many of the other atrocities that Turley reports here daily. Thus, it’s obvious that Prof. Turley is, as I have correctly stated, shocked at the full implementation of his Progressive ideals via a bloated bureaucratic police state offering no quarter to rights of children and adults. I like that Prof. Turley is abhored by these actions he blogs about, but I would like it even more if he explores the principles underneath this growing police state and connects that to his Progressive principles and sees that only in a Libertarian context could these woes be corrected–at the core. yes, indeed. Enough is enough. david, Welcome back and amen. We have to seriously revamp public education. The introduction of competition is the path. When parents have the choice of which school their children will attend, schools will shape up and do what is right for the public in order to earn their business. Time for school vouchers despite the opposition from these school administrators and the teacher unions. To save life is a punishable offence where one can not even further one’s career. How interesting! Cul de sac of life invented the power of the few ignorant. re Darren’s “witness intimidation … retaliation for reporting” comment — you mean, like this Administration’s usual extremely harsh treatment of whistle-blowers? sigh. I really got taken. but then I know I’m not a very good judge of people. teh dh says he always knew that O was basically MUCH more conservative than he was campaigning. It could be argued there might be a criminal case prosecution against the school administrators. In my opinion this would constitute Witness Intimidation because the student witness suffered retaliation for reporting the incident. We need to gut the education industry, top to bottom. These administrators are just acting on what they are learning from their betters at the University. Turley–though good natured– is part of the problem (because he refuses to acknowledge his flawed socialist political views via the elimination of our rights under a “living constitution”) and now moans when the system takes ideas he and his fellow professors imparts all the way to its logical end.